The The DESwitch Hermes 3/1 BRR is a combined switch ECU which is designed for the evaluation of multiple communication standards including Audio-Video Bridging (AVB), Time-Sensitive Networking (TSN) and Time-Triggered Ethernet (SAE AS6802). With these technologies you can evaluate the convergence of control traffic over Ethernet, including safety applications and in-vehicle backbone architectures.Switch Hermes 3/1 BRR is a combined switch ECU which is designed for the evaluation of multiple communication standards including Audio-Video Bridging (AVB), Time-Sensitive Networking (TSN) and Time-Triggered Ethernet (SAE AS6802). With these technologies you can evaluate the convergence of control traffic over Ethernet, including safety applications and in-vehicle backbone architectures. At the heart of this versatile product is the NXP SJA1105T chip. The switch chip enables networks with standard Ethernet for best effort traffic, Quality of Service (QoS) for using VLANs and priorities, AVB for clock synchronization and traffic shaping, TSN for time-aware shaping and Time-Triggered Ethernet for time-triggered communication and fault-tolerant clock synchronization. The product offers 3 x BroadR-Reach® physical layer interfaces that enable 100 Mbit/s full-duplex communication over unshielded twisted single pair (UTSP) cabline as well as 1 x 1 Gbit/s port. The DESwitch Hermes 3/1 BRR also integrates a powerful Infineon AURIX CPU running AUTOSAR 4.2.1 and provides digital and analog I/Os plus CAN, FlexRay and Ethernet interfaces. 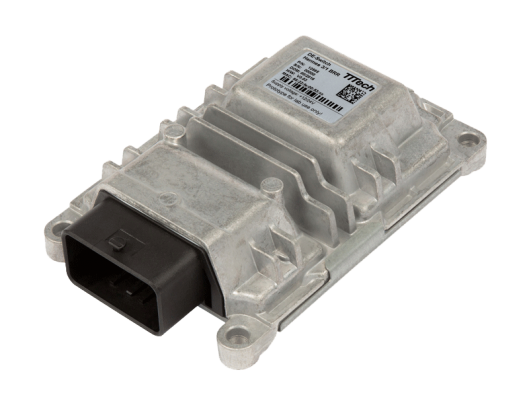 By integrating this control functionality, the Hermes switch will enable a wide range of in-vehicle projects for diagnostics, control applications, infotainment and advanced driver assistance systems (ADAS).